Want to do something for Better Hearing and Speech Month (every May) and don’t have time to prepare something? 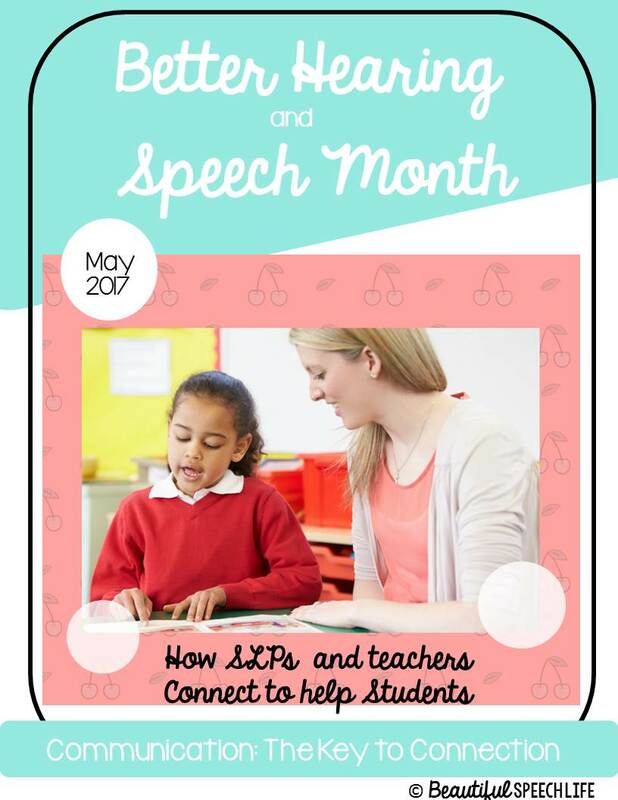 I’m pretty sure it wasn’t a school based SLP who decided May was the best month for this. I’ve got you covered with these free handouts/posters. There’s a black & white version or four pretty color options. Use them as posters or handouts, they’re actually great all year! 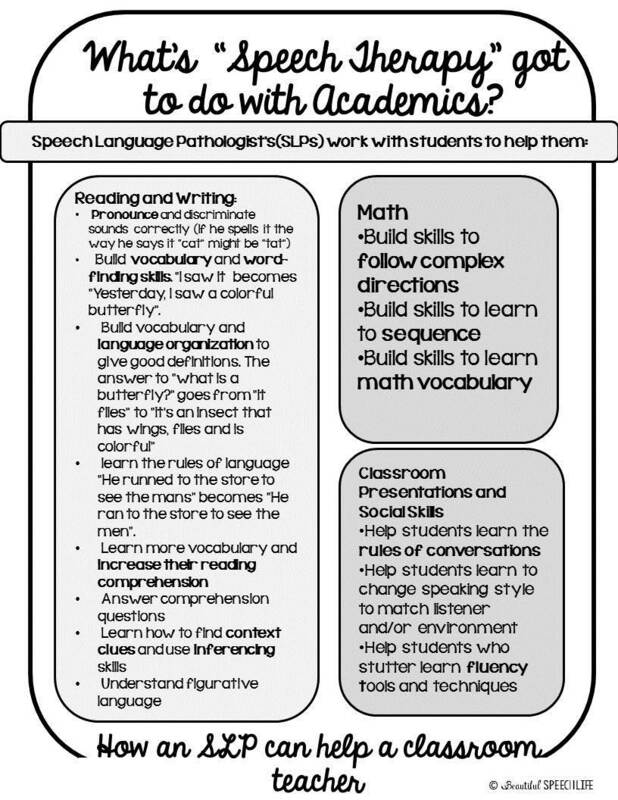 Better Hearing and Speech month is the perfect time to place these posters in the staff room, on your speech room door, and anywhere else that teachers may congregate. These are actually great to use as handouts (the b&w version). 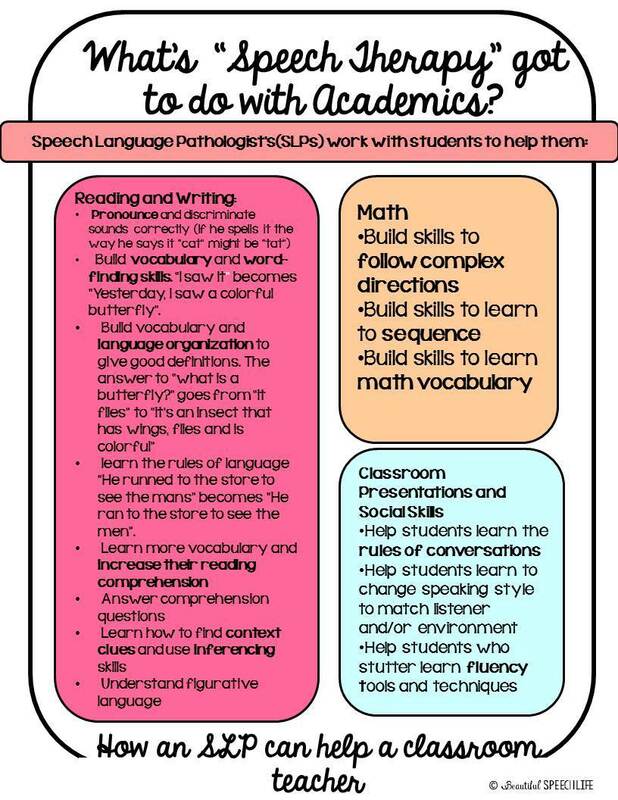 They’re also great for in-service days to help new teachers understand how we can all work together. After working in the schools for many years, I’ve noticed several common factors. Teachers are over-worked. SLPs are over-worked. Teachers have too much paperwork. SLPs have too much paperwork. Teachers want the best for their students. SLPs want the best for their students. The students who make the most progress are generally the ones who have a team behind them. 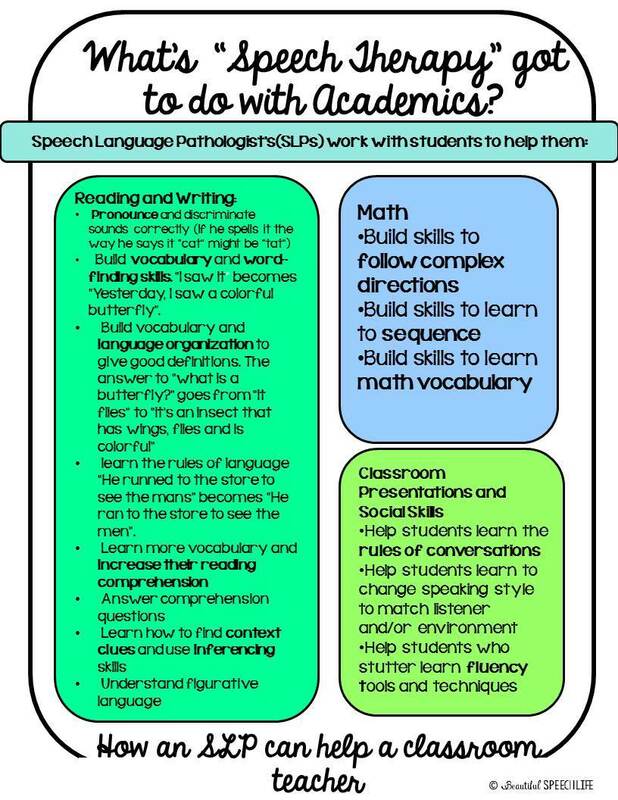 The more we can work with the teachers to help our students take their newly learned communication skills into the classroom, the faster our students will have success across all environments. It’s our job to help bridge that gap. 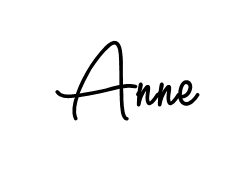 To get your free printables just click here. I hope this helps you out. Remember summer is almost here, we can do it! P.S. Need a fun low-prep year end activity that will take you through at least two therapy sessions and works for multiple goals? 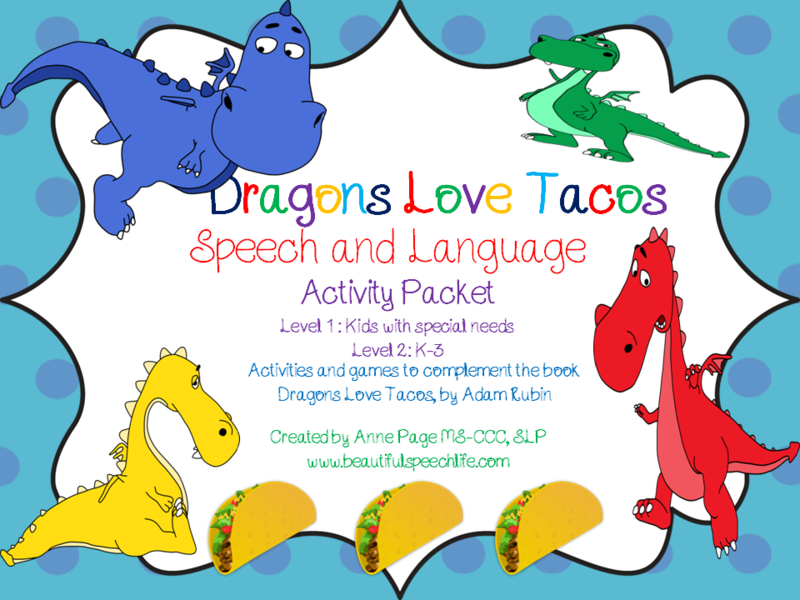 Try my best-selling Dragons Love Tacos Activity Pack for Speech/Special Education. Read how I use it here.